Last Friday night’s release party at DG’s was another success. We’re super proud of the newest additions to our catalog: Loretta, Holly And The Night Owls, and Mighty Shady. And thanks to everyone who made the show possible – if people don’t come out, we don’t get to keep making stuff, so we’re grateful as hell to everyone who takes the time to come to our shows and support our artists. This Saturday (June 28th), we’ll have a booth at Shagstock, which is a semi-annual-ish event in the wilderness of Boone. Shaggy, who throws the soiree, is also a member of Obsidian’s Dream, one of our artists, and they kindly invited a number of their Nova Labs labelmates to join in the festivities. There’ll be performances by Obsidian’s Dream (of course), Liana, Doctor Murdock, Rockets of Desire, Strong Like Bear, and many more, from noon till midnight. Then everyone collapses and camps in tents. We plan to have Deano’s packed and hopping. Our brothers in arms at Maximum Ames Records have also kindly invited us to create a new store/venue with them, which will have it’s grand opening at the festival. 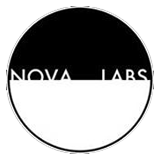 We’re stupidly excited for this – you’ll not only be able to pick up Nova Labs discs and Max Ames records whenever you like, you’ll be able to browse wares from artists across the whole fine state of Iowa. We intend to make this place memorable, and a bastion for Iowa music and art, and a testament to the state’s beauty – and we’re also gonna rock some goddam asses along the way. We have some more announcements coming real soon, but, rest assured, we’re not just sitting on our asses down in the Labs.